This blog explores who is able to qualify for free orthodontic treatment on the NHS. Generally speaking, free orthodontic treatment on the NHS is only available for children who are under the age of 18. NHS orthodontic treatment is usually not available to adults unless there are specific health reasons. If you consider that your child should qualify for free orthodontic treatment or you think that you yourself should have had free orthodontic treatment as a child, then you may be interested to know that Orthodontists, operating on NHS contracts, now use a standardised rating system to assess an individuals eligibility for treatment. 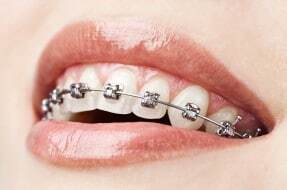 This system is referred to as the Index of Orthodontic Treatment Need (IOTN) and was introduced in 2006. This rating system is only used in children under the age of 18. Any consideration of whether an adult qualifies for free NHS treatment is done on a case-by-case basis. • IOTN 5 – severe dental health problems. Free treatment on the NHS is available for grade 4 and grade 5 cases. Treatment can be available for some grade 3 cases but this is usually assessed on more of an individual basis. Unfortunately we have acted for numerous clients where there was a failure by their dentist to refer them to an Orthodontist for a further opinion as to whether they should receive orthodontic treatment. In each of these cases, we were able to say with medical evidence, that a referral to an Orthodontist should have happened when they were under the age of 18 and given the orthodontic condition of their teeth, they would have qualified for free NHS treatment. As a result of the failure to refer our clients to an Orthodontist, they now have to pay privately for costly orthodontic treatment, as it is no longer free to them on the NHS. If you have suffered problems with orthodontic treatment or you feel that you should have been provided orthodontic treatment as a child, please call the Dental Negligence Team who will be happy to assist.